No home library is complete without the classics! 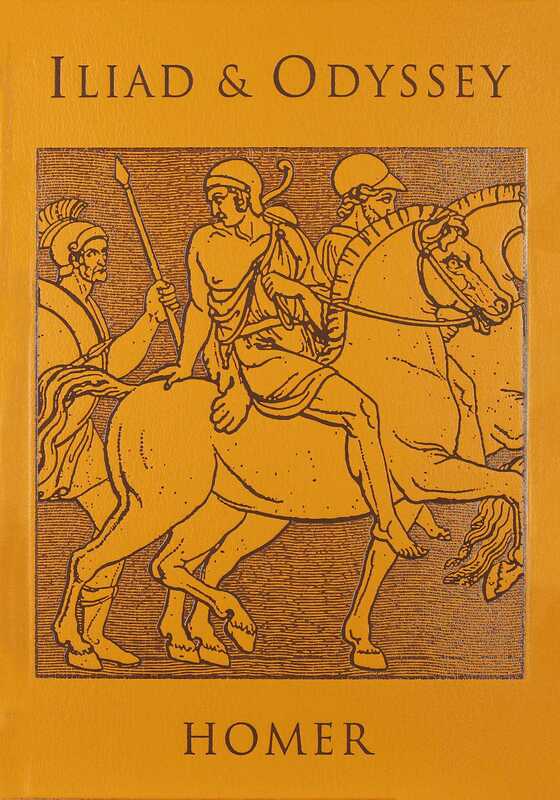 Iliad & Odyssey brings together the two essential Greek epics from the poet Homer in an elegant, leather-bound, omnibus edition-a keepsake to be read and treasured. The Iliad and The Odyssey are two of the oldest works of western literature--yet these ancient myths still offer powerful lessons for our times. From the fascinating fall of Troy to Odysseus' perilous journey home, from the gods and goddesses to the Sirens and the suitors, the events and characters of these epic tales captivate us, teach us, and inspire us. Their influence can be seen far and wide, from James Joyce's Ulysses to the movie sensation Troy, starring Brad Pitt. Whether you've read Homer's original stories or you've only enjoyed their modern-day descendants, you'll love this Canterbury Classics edition of Iliad & Odyssey. The perfect book to complete any bookshelf, Iliad & Odyssey features an eye-catching leather-bound cover with gold foil stamping, as well as fine ivory paper with gilded edges. You'll be moved by these magical works, and then delight in displaying this beautiful book in your home. A classic keepsake for fans of Greek mythology, as well as all great literature, Iliad & Odyssey is the perfect addition to any library.